By G. F. Lyon. London: John Murray, 1821. 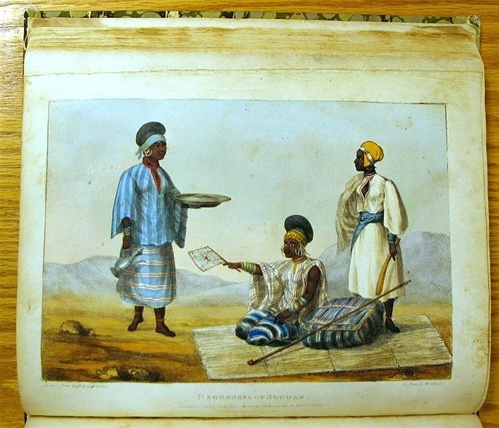 The 17 hand-colored prints of early 19th century Northern and Western Africans are not only elegant, but are also valuable historical documents on clothing, headgear, jewelry, and weaponry of that era. 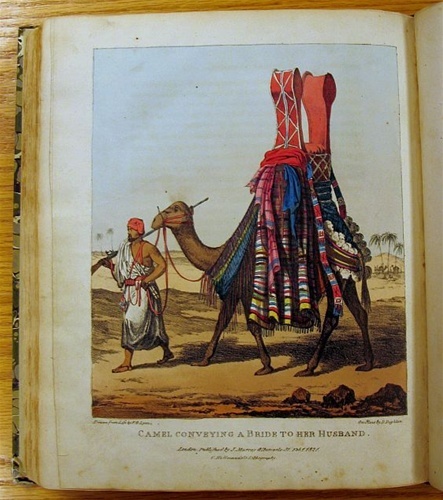 The image shown here, "Camel conveying a bride to her husband," (opposite page 299) is one of the most dramatic, but all provide a wealth of information for the historian and art historian alike. 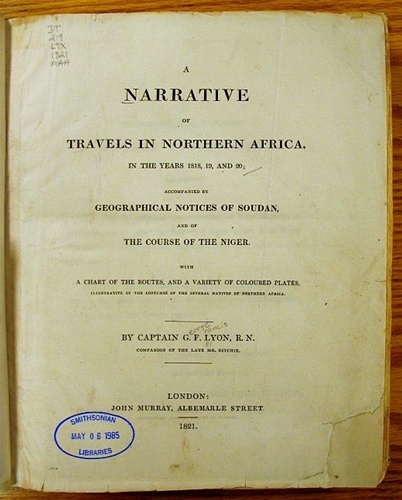 George Francis Lyon's clear narrative is a remarkable interweaving of history, geography, and ethnography of a part of the world virtually unknown at the time of his travels in 1818-1820.